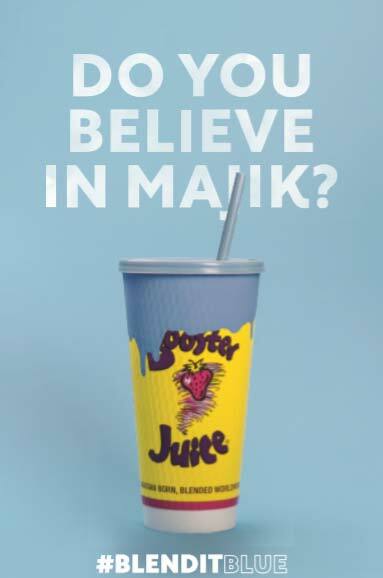 Booster Juice’s Blue Majik products contain blue algae. Smoothie fans across Canada have the chance to try something new—and blue. Quick-service restaurant (QSR) Booster Juice has revealed a new line of blue algae products following a three-week nationwide teaser campaign. The addition of the algae (also known as Phycocyanin powder), which boasts nutritional benefits and anti-inflammatory properties, turns smoothies and other foods bright blue. For a limited time, customers will have the choice of three ‘Blue Majik’ products: a smoothie, smoothie bowl, or chia pudding. Alternatively, customers can also add a blue algae super booster to any smoothie and watch the colour change as it blends. Customers are encouraged to share photos of their blue beverages on social media using the hashtag #BlendItBlue for a chance to win a trip for two to Las Vegas, Nev.